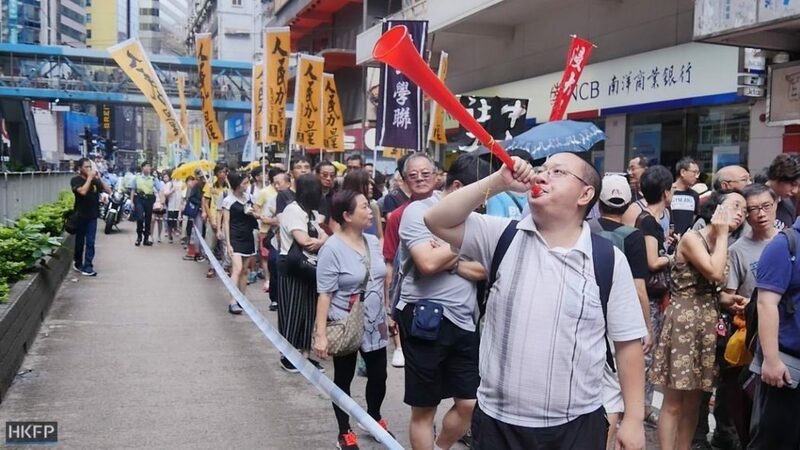 Over 100 protesters gathered outside the Legislative Council on Sunday afternoon, criticising pro-democracy lawmaker Albert Ho Chun-yan for “destroying One Country, Two Systems,” after Ho held a press conference together with returned bookseller Lam Wing-kee on Thursday evening. 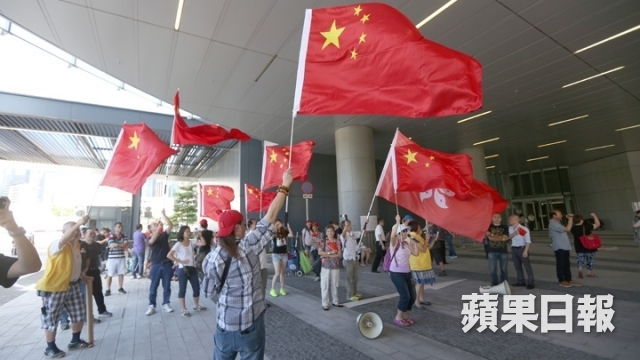 Pro-Beijing protesters waved the flag of China and sang patriotic songs outside the LegCo. Photo: Apple Daily. Lam was one of the five booksellers from the store who went missing last year. The shop sells political gossip titles banned in China; Lam founded and operated the bookstore before it was purchased by Mighty Current in 2014. 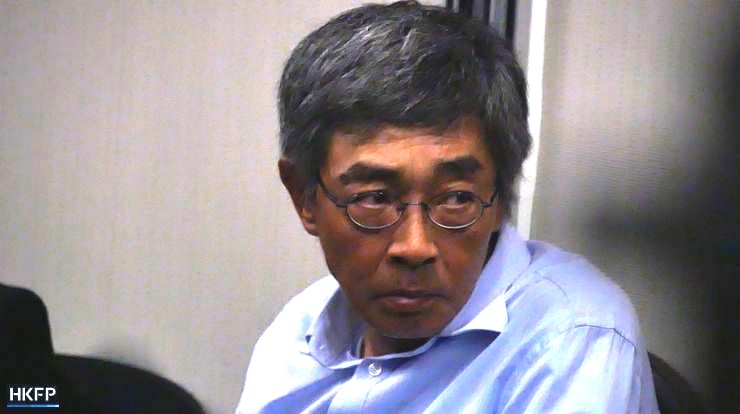 He was ordered by his captors to bring a hard drive containing the bookstore’s customer list back to the mainland, but changed his mind and held a press conference instead. He gave an account of his detention in China and said that his TV “confession” was scripted and orchestrated. 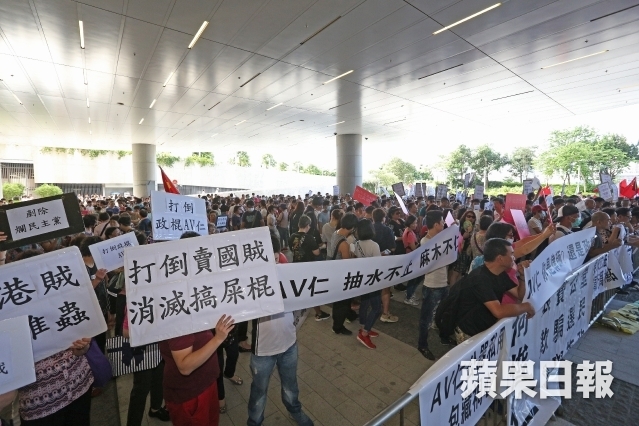 The demonstrators on Sunday belonged to pro-Beijing organisations such as Voice of Loving Hong Kong and were transported to the Legislative Council in buses. They sang patriotic songs, waved the People’s Republic of China flag, and placed placards condemning Ho on the fences. They left about an hour later, Stand News reported. Protesters said that Ho helped Lam with holding the press conference, during which, they said, statements inconsistent with the facts were made. They said that Ho was taking advantage of Lam and questioned why he, being an outsider in the incident, had to get involved. 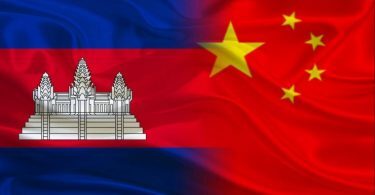 They also accused Ho of destroying One Country, Two Systems – the agreement which assures the city’s autonomy. 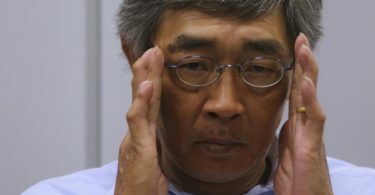 Demonstrators further claimed that Lam slandered the Chinese government and broke the laws of the mainland, Now TV reported. They demanded that the Hong Kong government arrest Lam. The protests came a day after over a thousand people marched from the Causeway Bay Bookstore to China’s liaison office in support of Lam. The protests in support of Lam on Saturday. Photo: Gene Lin/HKFP. “Is it really legal to send and sell the political gossip titles published by Causeway Bay Books to the mainland? Are the Shenzhen police not allowed to arrest people who have committed such acts on the mainland? Common sense will help people come up with the correct answers,” the commentary said. It also said that “radicals” in Hong Kong and the media claimed that One Country, Two Systems have been destroyed, an allegation they themselves knew to be “exaggerated and ridiculous”. It said that these radicals did not want One Country, Two Systems – they only desired “Two Systems”, which was where the problem lay. 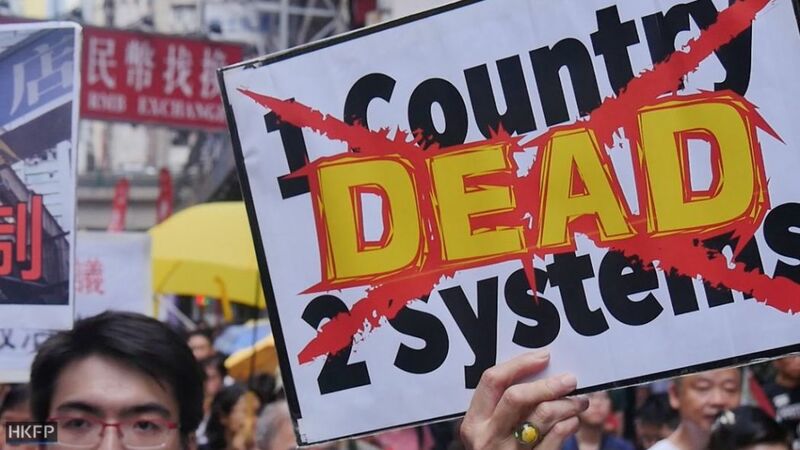 The commentary condemned the “radicals” for being aggressive towards these issues and said they should not mislead Hongkongers, warning that “it is not in Hong Kong society’s best interest to take on an extreme stance on the matter”.